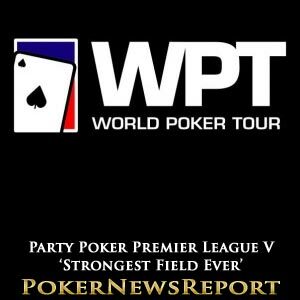 Party Poker’s fifth staging of their Premier League Poker is to be included on the World Poker Tour (WPT) as a special tournament that promoters believe will attract “the strongest field ever” when the pros arrive in Austria in early April. 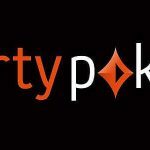 Officially known as the WPT Premier League V presented by Party Poker, the event will take place at the Montesino Casino from April 4 to 10 – essentially as a warm-up to the WPT Vienna, although it will offer a $125,000 buy-in event, so can most certainly be considered a super high roller tournament for the 16-player line-up. 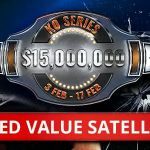 The $25,500 buy-in main event at WPT Vienna has been moved in the schedule to April 10 to 15 to allow the Premier League matches to take place, while Party Poker’s Big Game VI – which will be broadcast live for all 48 of its hours – will run from April 11 to 13, which is smack bang in the middle of the main event. The event will also have the added appeal of being presented for television by beautiful some-time poker player Kara Scott. Scott – who joined ESPN’s coverage of last year’s WSOP main event – will present the event for Sky Sports, with the channel airing four-hour shows from each heat in the UK and Ireland, before distributing the rights across the globe. This year’s tournament will see a huge $200,000 added to the prize pool at the final table, while the winner is guaranteed a seat at the $25,500 buy-in WPT World Championship, which takes place at The Bellagio in Las Vegas from May 19 to 26. 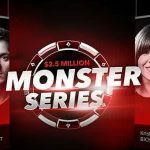 The expected huge payouts for having a successful series have already attracted some of poker’s biggest names, including the likes of recently crowned European Player of the Year Sam Trickett, one-time World Series of Poker (WSOP) bracelet winner Vanessa Selbst, online specialist Luke Schwartz, WPT Season 9 Player of the Year Andy Frankenberger – who took down the Premier League Mixed Game Championship in November for $100,000 – and 2006 Asian Poker Tour (APT) Singapore champion Tony G.
Now, if you’re not sure how Premier League Poker V will function, Party Poker released a short guide that is sure to clear up a few things. 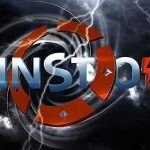 The release stated that the 16 elite players entered are to be “split up into two groups of eight” that will see each competitor battling it out over four matches that will reward entrants with $2,000 for every point they win. Thereafter, the leading three pros in each group will go straight to the final table, leaving the fourth and fifth placed players to face each other in best-of-three heads-up games to grab places in the eight-handed end-of-series climax.